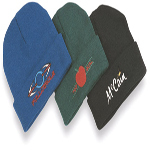 - Yupoong Knit Cap With Cuff. - Approximately 12” long to allow for cuff. 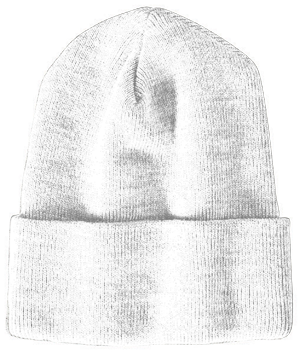 Yupoong Knit Cap With Cuff. 100% hypoallergenic acrylic. Approximately 12” long to allow for cuff. Hand washable. Heavyweight knit cap. One size fits all. 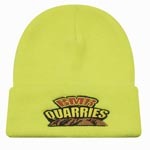 Colors: White, Baby Pink, Black, Blaze Orange, Dark Grey, Heather Grey, Maroon, Navy, Purple, Red, Royal, Safety Yellow, Spruce.